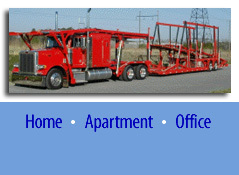 Southern Auto Transport Services, Inc. is a multi service relocation company. We can transport cars, trucks, vans and motorcycles. We offer flexible service nationwide ranging from door to door, driveway, and various terminal services. If you're an individual, corporation, dealer or relocation agent all you have to do is make one phone call, we will take care of the rest. And please remember, Snowbirds are our specialty. This service is our most convenient relocation service. If you’re a college student, snowbird or seasonal mover, spending the winter months in Florida, California or even in the deserts of Arizona we can assure you we can handle the logistics of delivering your vehicle to gated communities, complexes, condos, offices and school campuses. This service is also convenient for individuals moving Cross Country. Online automobile and motorcycle buyers on Ebay and auto trader also find this service valuable because of our free detailed inspection report at pickup location. If you are traveling and will not be available to accept delivery of vehicle due to scheduling conflicts we can deliver vehicle to a secured terminal nearest you. We offer special discounts to corporations, military, real estate agencies, and relocation companies moving their employees or clients vehicle. Whether you need one or more vehicles moved one at a time or simultaneously, to offices or new homes our company will assist you in serving your employees or clients. We have resources you can rely on to move your freight. Southern Auto Transport owns and operates its own trucks and has access to over 100 experienced carriers. This guarantees fast reliable service. We have recognized that many dealers are having difficulty-sourcing transporters to move cars that are purchased one at a time in several different locations. We know what it takes to get vehicles to and from auctions. If you want a solution to that common problem, let Southern Auto Transport help you solve it today!